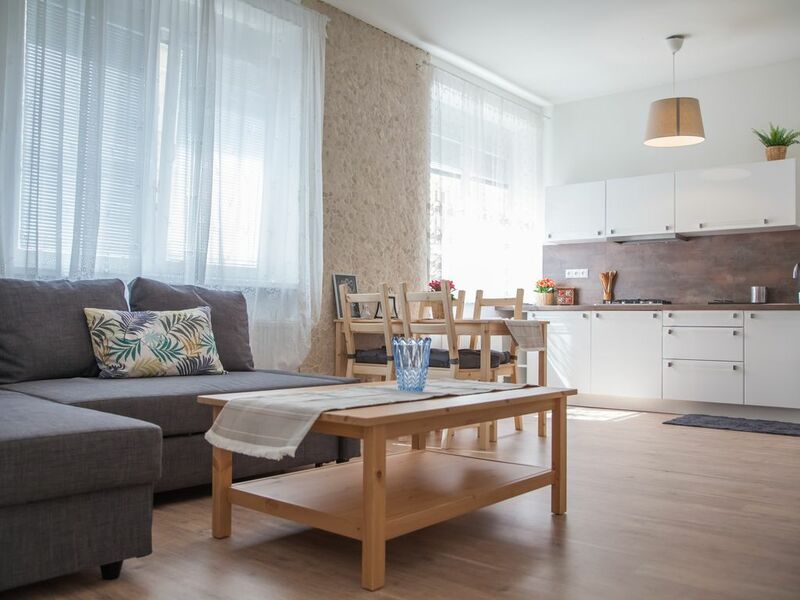 One bedroom apartment in the heart of Bratislava walk zone, the apartment is surrounded with coffee shops, restaurants and bars, once you arrive you will never need any transportation. The apartment has one bedroom with a double bed and the living room has a full-size sofa bed similar in size to a queen bed. The apartment is suitable for couples, a small family or friends. The kitchen is fully equipped with fridge, washing machine, cooker, oven and coffee maker, and all required cutleries for a long stay. As a guest, you will have access to the full apartment, the building main entrance is provided with access control and the apartment is only 5 steps from the street level so its very accessible and no lift required. Its all about location for us, this apartment has the perfect location for a city vacation, no matter if you are a family on vacation, a couple, or friends that want to enjoy the city this is where you will have it all. We made sure the place has all the required amenities for short and long stay. The apartment is located in the heart of Bratislava downtown in the pedestrian area and surrounded by all the local attractions, restaurants and bars. It was very clean, well furnished, and very conveniently located. The owner is extremely helpful and cordial. Thank you for staying with us and for your great review.